"Immanuel" means "God with Us." This is a designation for the Christ child taken from Isaiah 7:14 that reminds us of the great wonder of the "incarnation" of God who came to be with us at Christmas. Immanuel Lutheran began serving the Lord in 1874 after a small group of pioneering families from Europe settled in America. It is currently one of the largest churches in the St. Ansgar area and has been faithfully serving the community and area for many years. 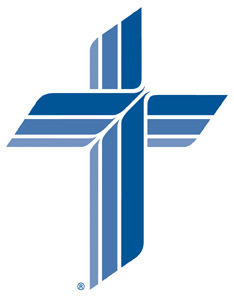 Immanuel is affiliated with the Lutheran Church - Missouri Synod. The word Synod means to "walk together" in a common confession of faith and doctrine. The Synod has about 2.7 million members in more than 6000 congregations throughout the United States, Canada and Argentina. Through its mission efforts, the Synod ministers in 29 nations, operates 17 institutions of higher education and has the largest protestant parochial school system in the United States. Headquarters for the LCMS is located in St. Louis, Missouri. Our church body seeks to remain faithful to God's pure Word as we share it with the world!